We have an update about the BlackPad, the much anticipated tablet PC from the BlackBerry maker RIM. 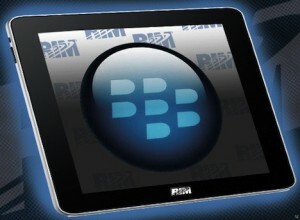 It is being reported that RIM will be announcing some details about the Black Pad at a developers conference. RIM will announce only the details of the BlackPad OS for developers to start working on making apps for the tablet however no details of the tablet will be announced. It won’t be hard to figure out the tablet’s configuration from the OS capabilities. Mike Lazaridis is the keynote speaker at the conference and it is being rumored that RIM would be using the QNX OS for its BlackPad. We had reported earlier about the Blackpad from RIMcould be an iPad killer. RIM has been taking a hit on the market since Apple came in with its iPhone. RIM is currently working on new technologies to remain competitive in the market and to fender off worries that RIM is a dying breed. With the developer conference and news that RIM will disclose some details about its Blackpad tablet, the release dates might be later this fall, giving developers enough time to work on a good set of apps. Next Large Hadron Collider makes New Discovery! Looks great – hopefully it is as good as the iPad!